Edward Said, the renowned literary and cultural critic and passionately engaged intellectual, is one of our era's most formidable, provocative, and important thinkers. For more than three decades his books, which include Culture and Imperialism, Peace and Its Discontents, and the seminal study Orientalism, have influenced not only our worldview but the very terms of public discourse. The Edward Said Reader includes key sections from all of Said's books, from the groundbreaking 1966 study of Joseph Conrad to his new memoir, Out of Place. Whether he is writing of Zionism or Palestinian self-determination, Jane Austen or Yeats, music or the media, Said's uncompromising intelligence casts urgent light on every subject he undertakes. 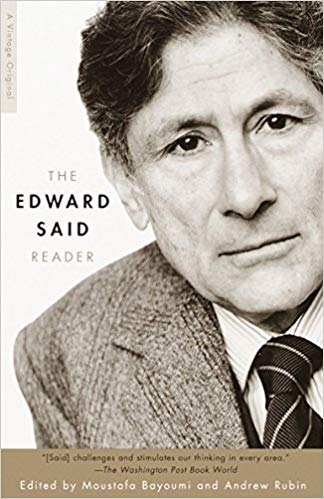 The Edward Said Reader will prove a joy to the general reader and an indispensable resource for scholars of politics, history, literature, and cultural studies: in short, of all those fields that his work has influenced and, in some cases, transformed.